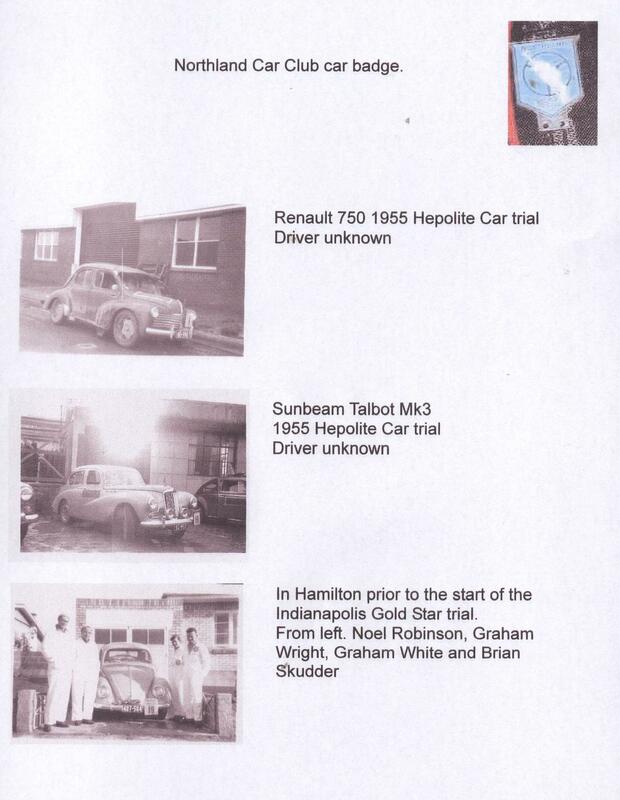 The Car Club has also kept all meeting books dating back to the inaugural (first) meeting of the Northland Car Club. 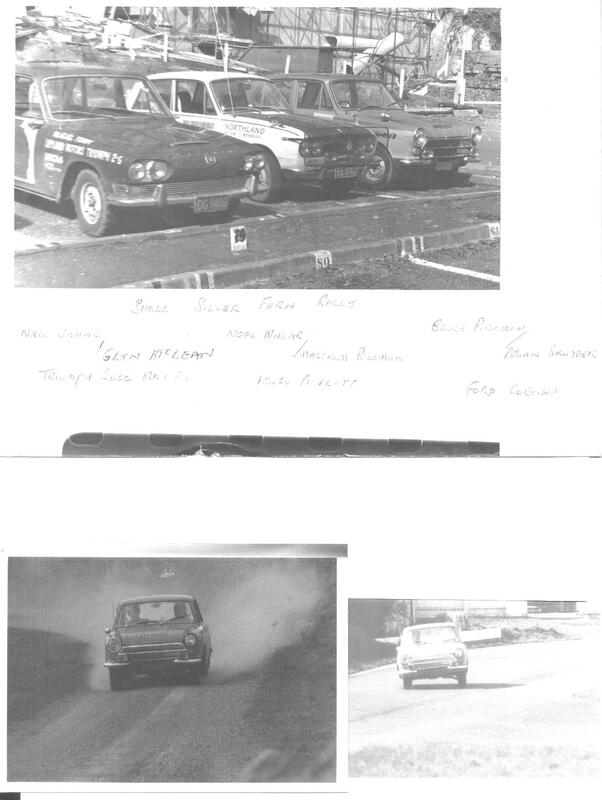 Below are some of the points from that meeting. 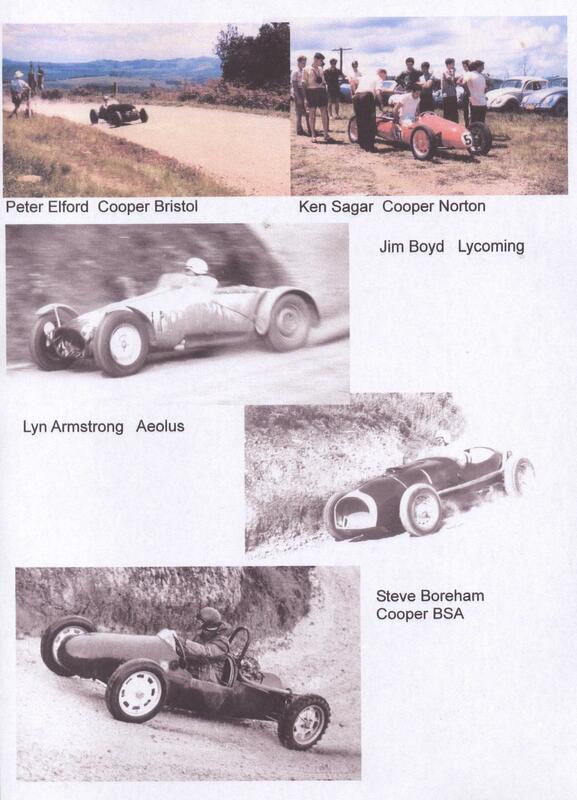 13 July 1955 - at the A + P Board Room. 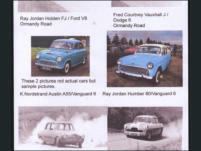 •22 Northland motoring enthusiasts were present. 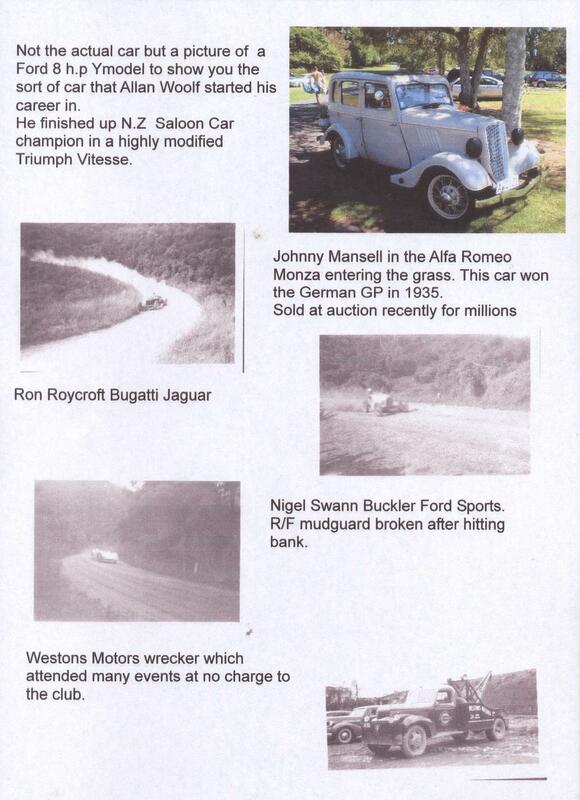 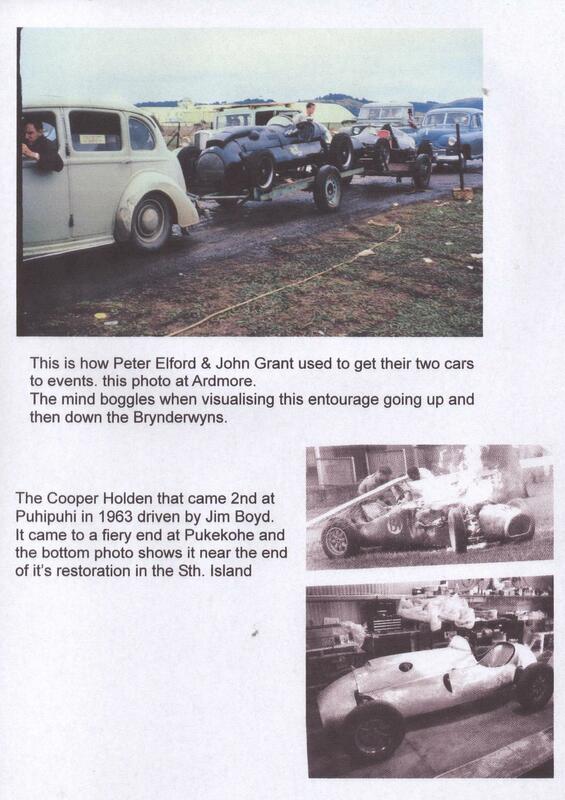 •Rules for the Club were based on the Auckland Car Club rules, and were supplied by the Secretary of that Club. 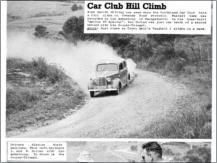 •Subscriptions were suggested at £1/10/- per annum. 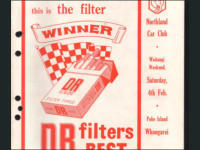 •Members were invited to submit designs for a club badge. 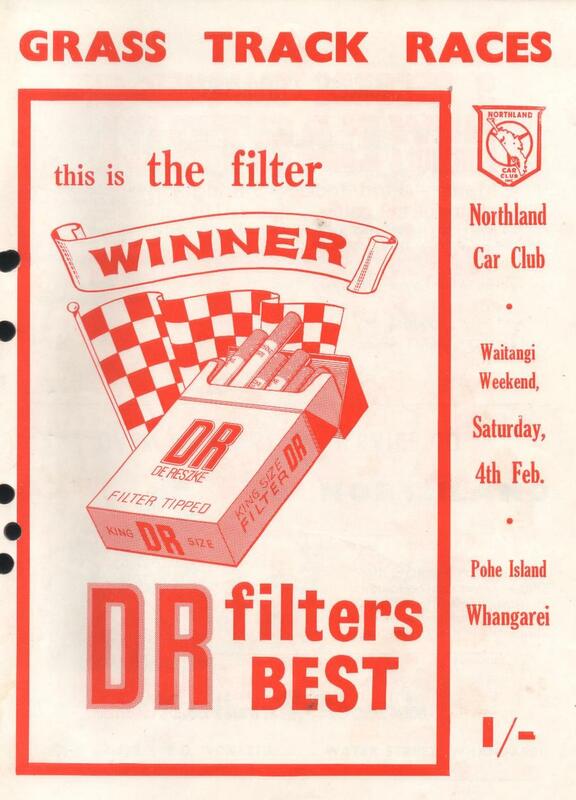 •Windleburn suggested having evening meetings once a month, possibly once a fortnight when the Club grew bigger. 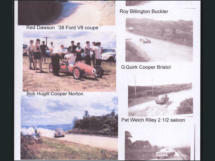 It was agreed to begin the meetings at 8pm for the benefit of “out of town” members. 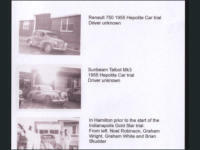 And to charge £1/- per member to cover the cost of hiring the room, supper and heating arrangements. 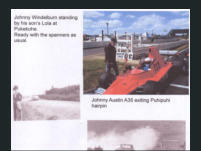 •A suggestion by Mr Windleburn was that a news letter should be started as soon as possible. •It was suggested that the clubs first outdoor meeting be a gymkhana or field day to be held on Sunday. 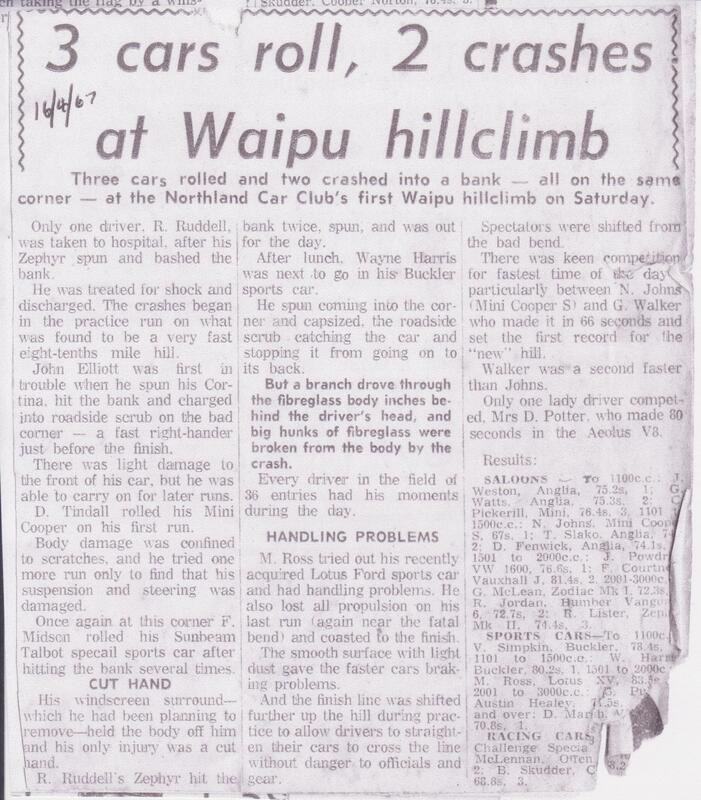 •The president pointed out the desirability of this Club being affiliated with the Association of New Zealand Car Clubs (ANZCC). 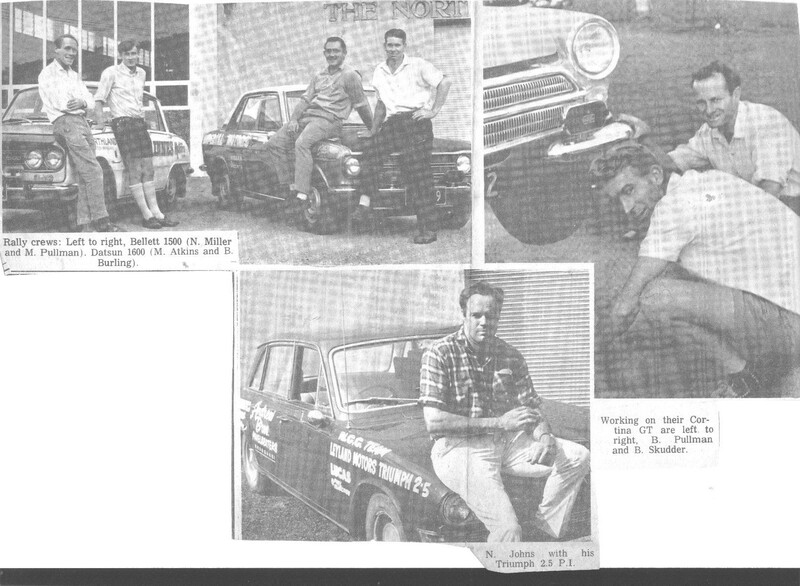 Click here for the entire meeting scanned from the original meeting books. 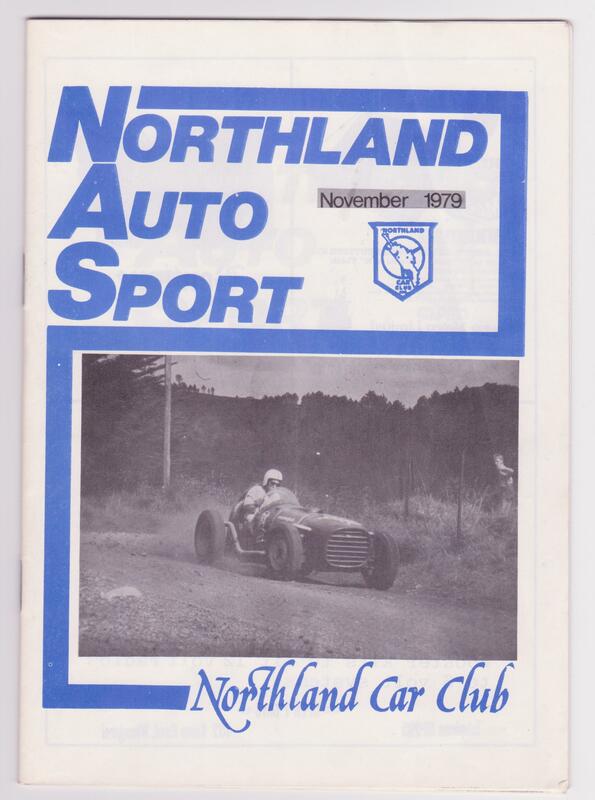 Subscriptions were suggested I will hopefully be adding new information about the club as we find it or as people want to share their own thoughts about the early Northland Car Club. 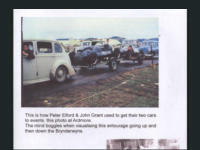 Please feel free to email letters, photos etc to northlandcarclub@yahoo.com or post information to; Northland Car Club, P.O Box 596, Whangarei. 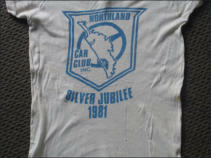 The Northland Car Club became an incorporated club on the 9th May 1956. 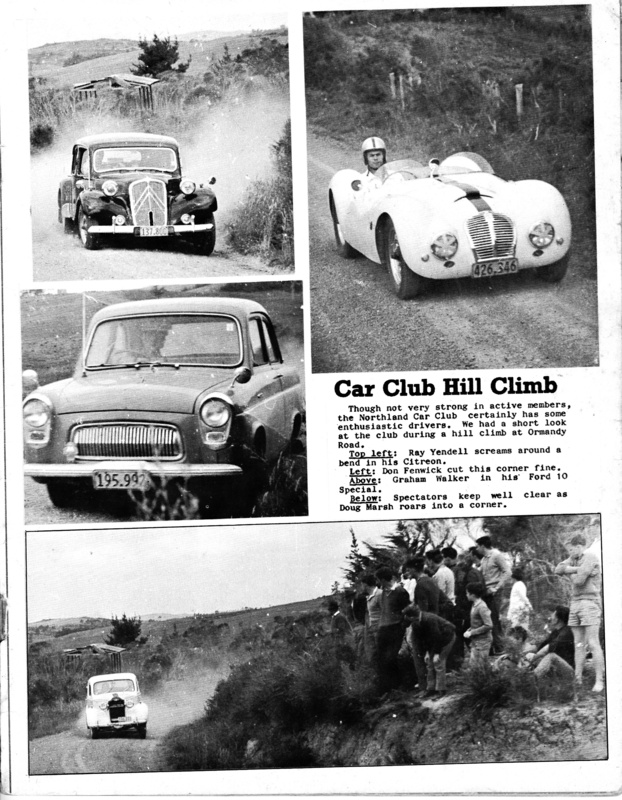 Brian Skudder had wrote some articles in the Car Club newsletters back in 1979-1980, he brought up when some of the first meetings were held to form the car club, elections of the first President and the design of the club badge. 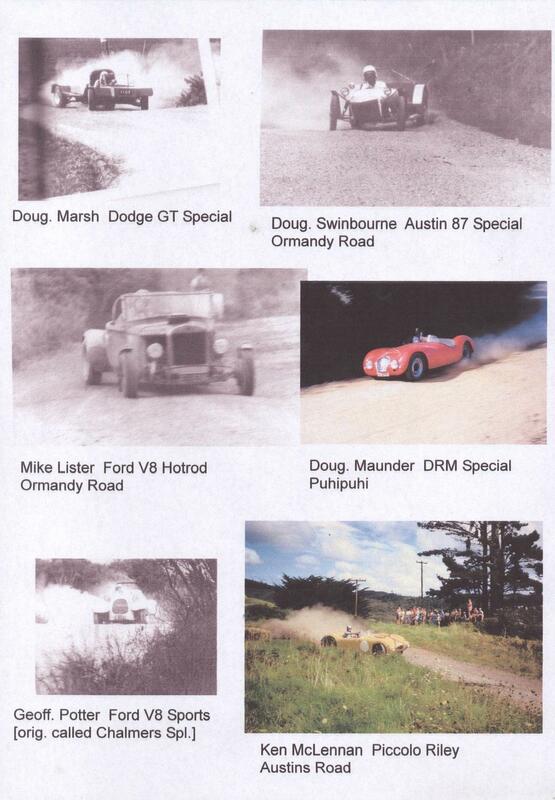 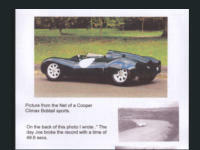 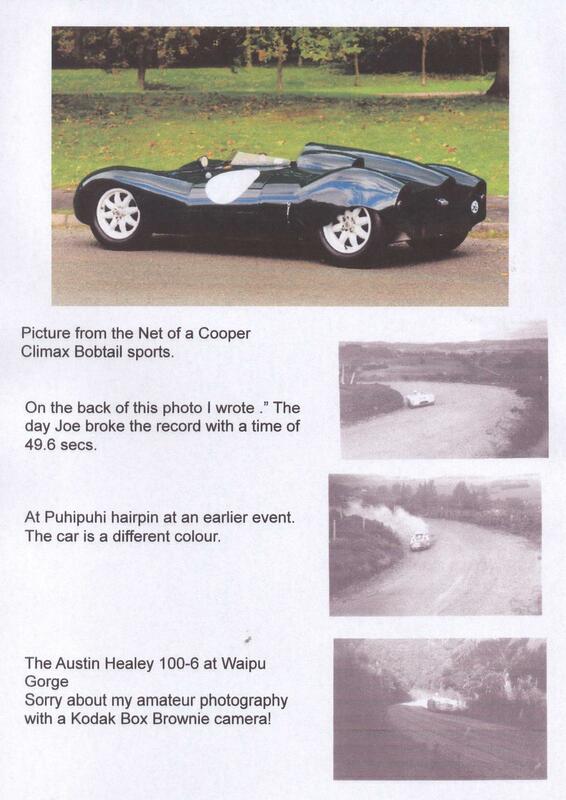 Below are some of the updated articles of the early days of the Northland Car Club by Brian Skudder: 1.The Northland Special 2.Car Trials 3.Joe Lawton 4.Puhi Puhi 5.Waipu Gorge 6.Grass Tracks Races 7.Roy Billington, Vic Simpkin, John Windelburn and Neil Johns 8.The Start of Rallies 9.Northland Specials Bbelow are the original articles he wrote in 1979, if you feel like reading them again. 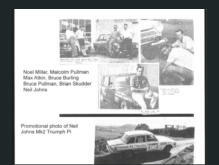 *9 Articles by Brian Skudder, written 1979 - 1980. 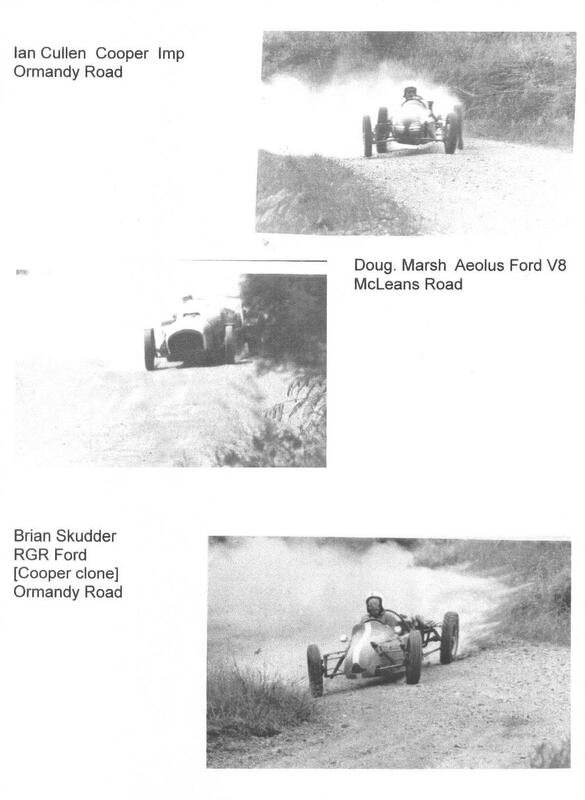 In the November 1979 Car Club newsletter, Dave McKinney, Les Brown and Rowan McLean wrote letters in response to Brian Skudders articles, mainly about The Northland Special, click on links below to read these: *Letter by Dave McKinney, written nov 1979. *Letter by Les Brown, written nov 1979. 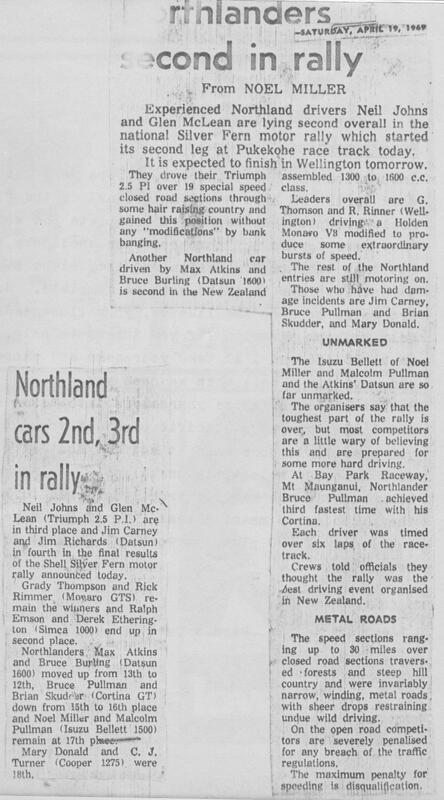 *Letter by Rowan McLean, written nov 1979. 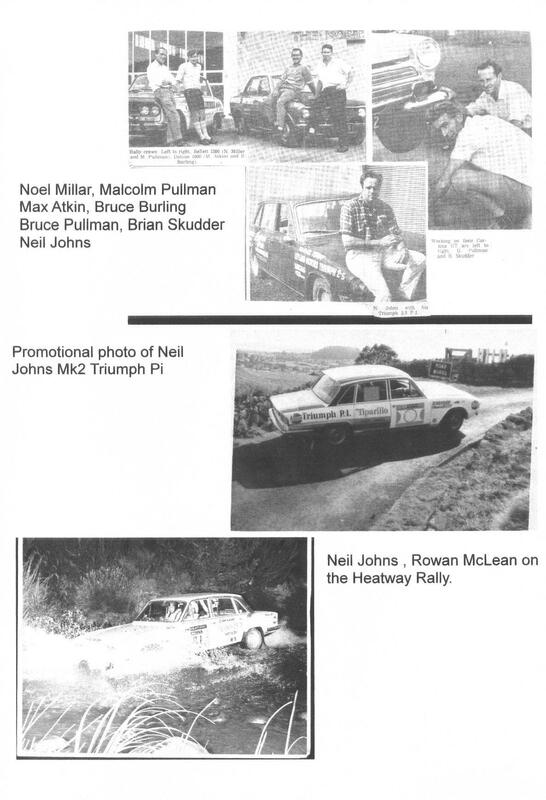 Adding to his own article #8, Brian has extended on Rallies, with the Shell Silver Fern Rally. 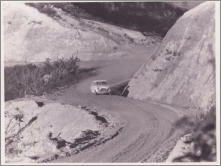 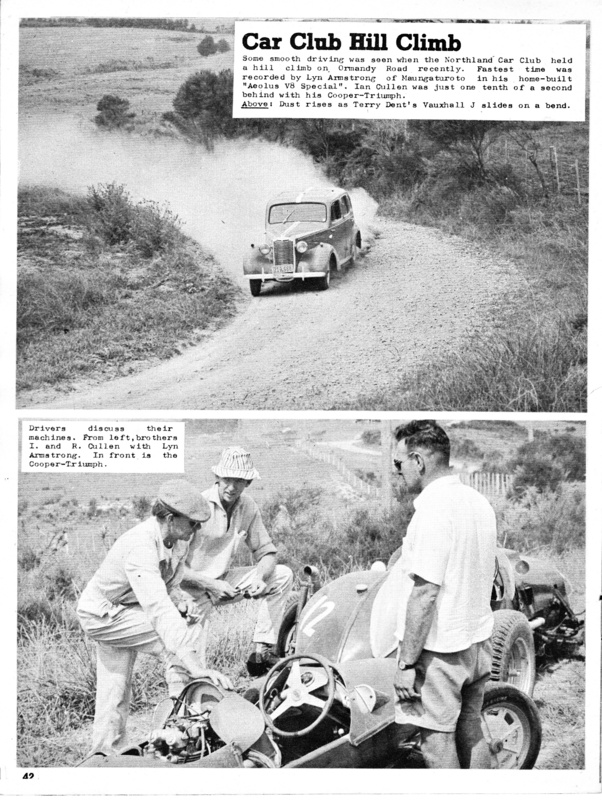 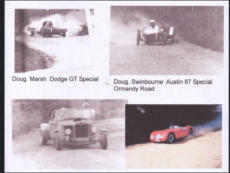 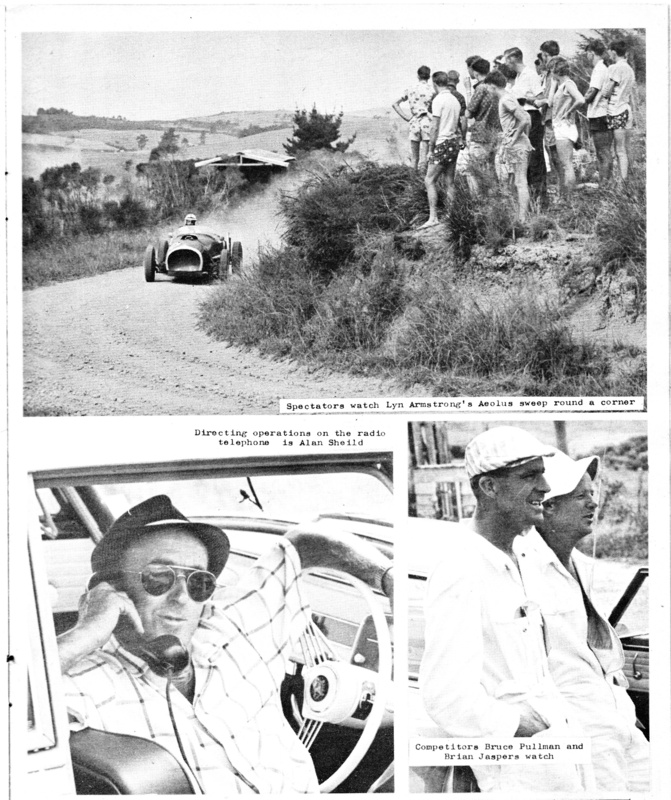 Gold Star Hillclimbs Brian Skudder recalls competing in the 1970 Australian Southern Cross Rally with Neil Johns in a Mark I Triumph 2000, this article is from the Classic Driver Mag. 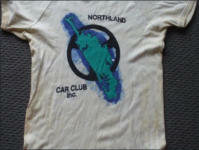 The Northland Car Club became an incorporated club on the 9th May 1956. 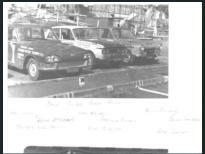 Brian Skudder had wrote some articles in the Car Club newsletters back in 1979-1980, he brought up when some of the first meetings were held to form the car club, elections of the first President and the design of the club badge. I contacted Brian asking if I could use his articles for the website, he didn’t mind them being used but he also wanted to update them. 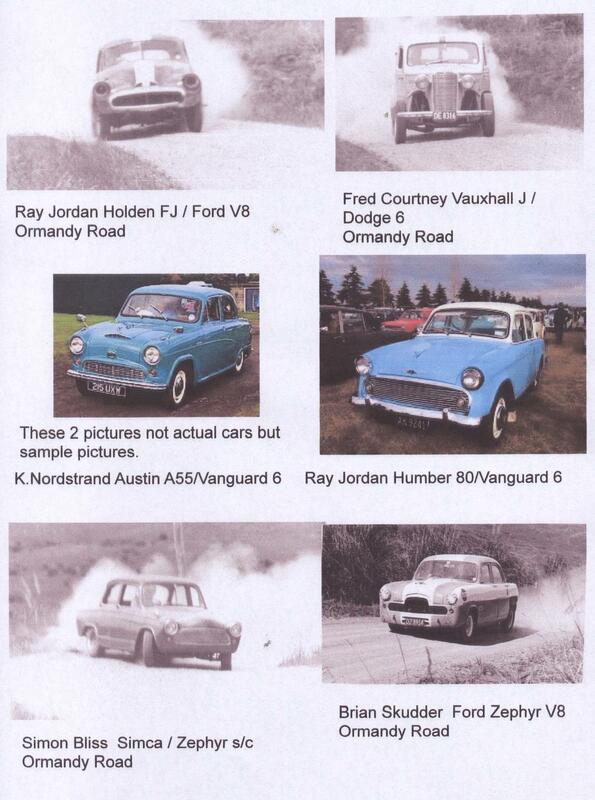 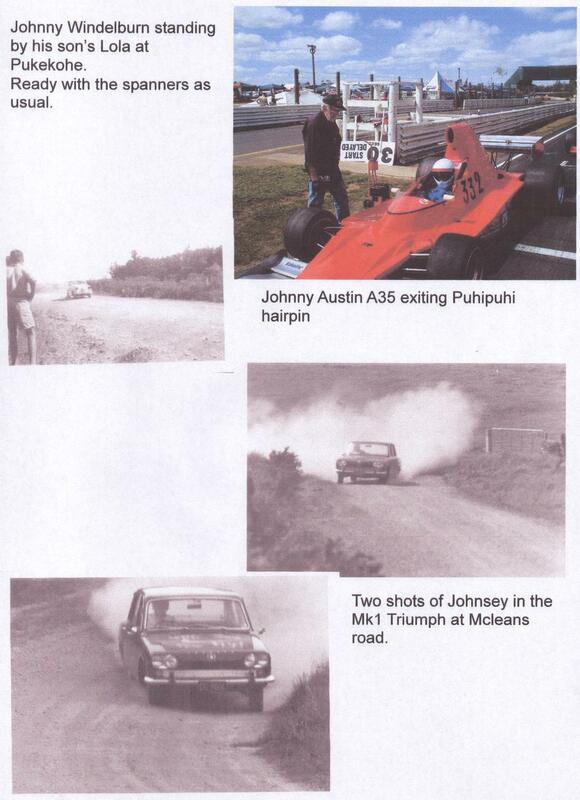 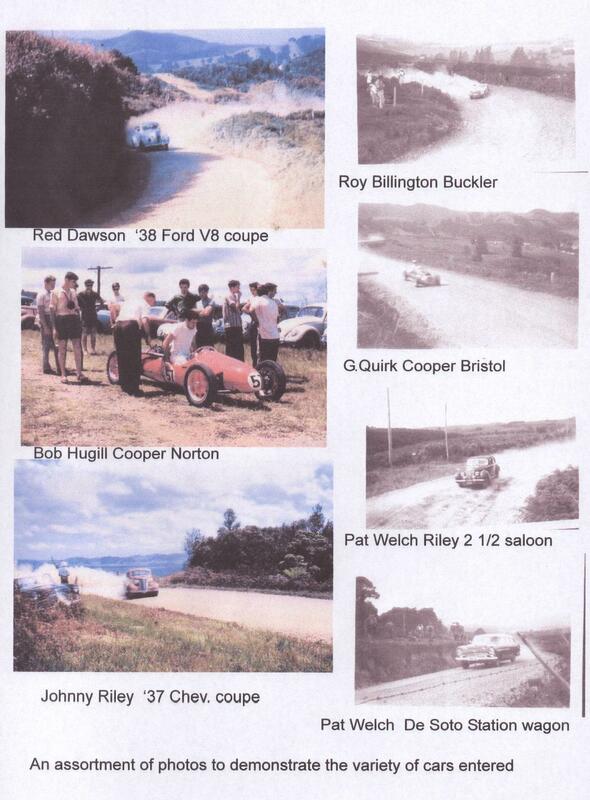 Below are some of the updated articles of the early days of the Northland Car Club: 1.The Northland Special 2.Car Trials 3.Joe Lawton 4.Puhi Puhi 5.Waipu Gorge 6.Grass Tracks Races 7.Roy Billington, Vic Simpkin, John Windelburn and Neil Johns 8.The Start of Rallies 9.Northland Specials I have also left the original articles (below) he wrote in 1979, if you feel like reading them again. 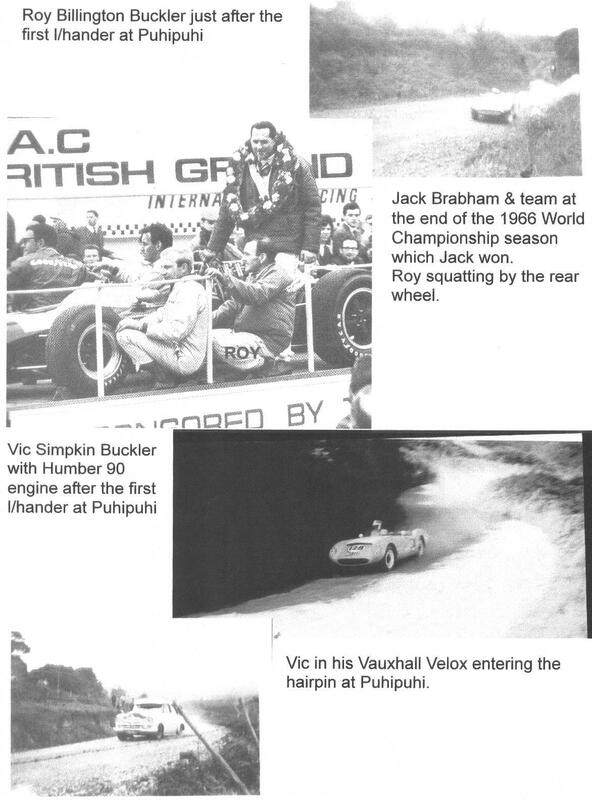 *9 Articles by Brian Skudder, written 1979 - 1980. 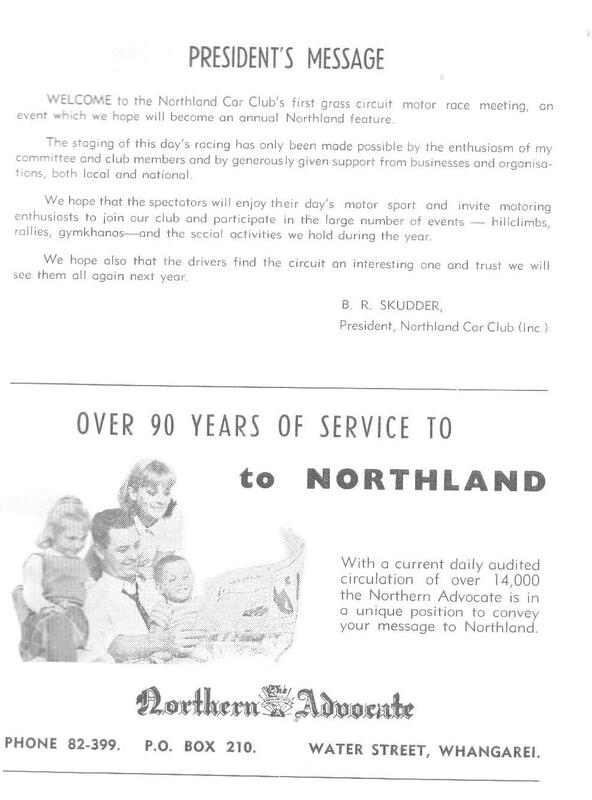 In the November 1979 Car Club newsletter, Dave McKinney, Les Brown and Rowan McLean wrote letters in response to Brian Skudders articles, mainly about The Northland Special, click on links below to read these: *Letter by Dave McKinney, written nov 1979. 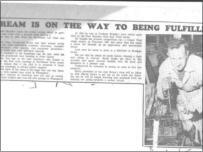 *Letter by Les Brown, written nov 1979. 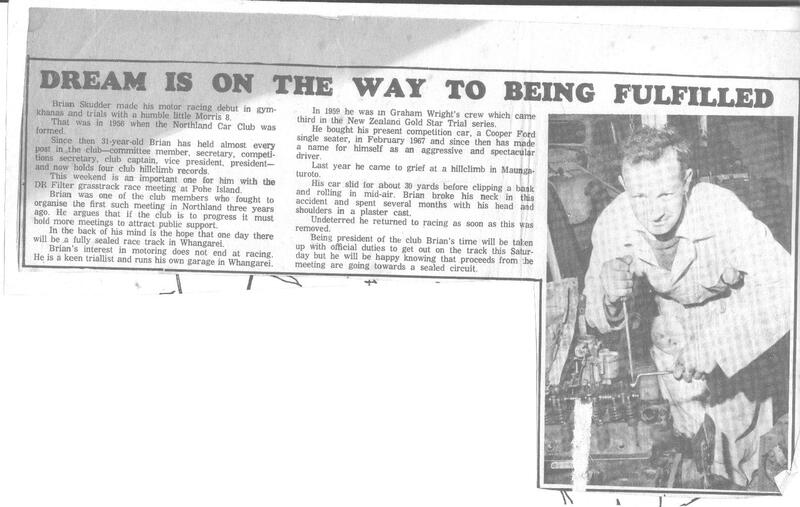 *Letter by Rowan McLean, written nov 1979. 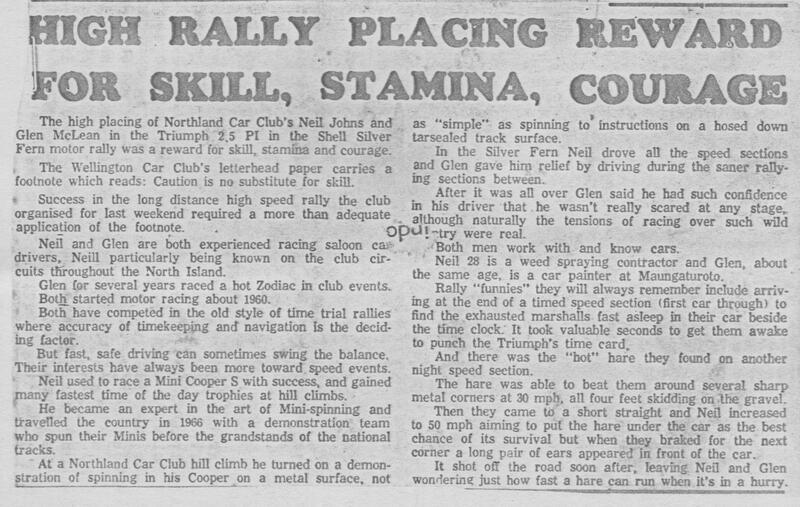 Adding to his own article #8, Brian has extended on Rallies, with the Shell Silver Fern Rally. 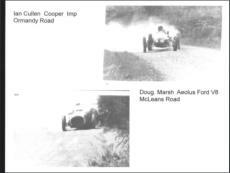 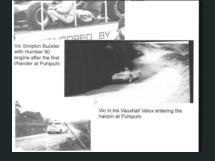 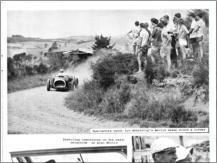 Gold Star Hillclimbs Brian Skudder recalls competing in the 1970 Australian Southern Cross Rally with Neil Johns in a Mark I Triumph 2000, this article is from the Classic Driver Mag.